O'wo and the Solo Dog is the first of what I hope are many enjoyable and magical tales of O'wo (that's me) and the Solo dog (that's him over there lying down, napping). This book is about the "magical talents" Solo is sharing with me along with all his animal friends. These tales are intended to entertain and amaze, but in order to enjoy, you must believe. So close your eyes and take a deep breath; now open them and get ready. Join me, Toby (our oldest grandson, in this book 1), and of course, the Solo dog as we learn . . . Animals really do talk! And like many circumstances in our everyday lives, we all can learn from so much from those around us. 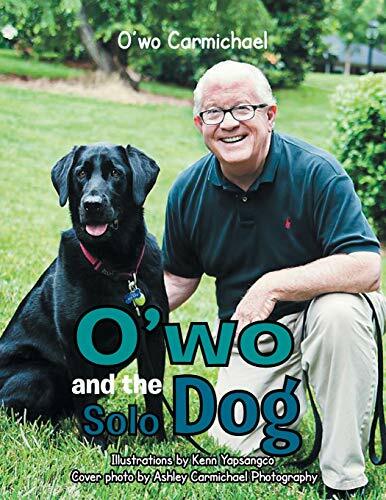 Please enjoy O'wo and the Solo Dog, a labor of love. O'wo Carmichael A retired businessperson (sales and marketing) with almost thirty years with an international company. Married to his high school sweetheart for forty-seven years. Has lived from Europe to California and traveled most of the world. He helped raise three beautiful children and now he's enjoying the 'fruits' of his labor with four grandsons and with his first granddaughter due this May (2014). Some have described O'wo as the least likely person they know to write a children's book-a baseball book maybe? Others say, "He's dedicated, devoted, unconditional, loyal, has a great sense of humor, and is a trusted friend" Qualities he's tried teaching and sharing with his family, friends, and all he meets.